Once a route is set, locked and the signal is cleared for a train, it must be held till such time the train is received on the berthing track or the route is released by an emergency route release operation. 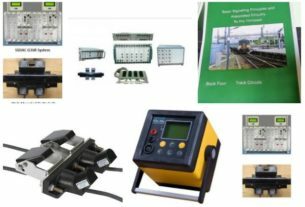 It is an electrical locking on a point which prevents the operation of the point when a train occupies the track circuit provided over the point. When a train is on 51 AT or 51BT, the respective track relay will be de-energized. Under this condition, it is not possible to operate the point either by route initiation or by individual operation. We say the point is track locked. It is an electrical locking so provided as to ensure that after the reception of the train on the berthing track the route is not released unless it is proved that the signal which was cleared for receiving the train has gone back to danger and all the signal control relays have de-energized. Assume that the home signal is displaying the yellow aspect. The distant signal displays the green aspect. The train is beyond the pre-determined distance as shown above. And the driver has accepted the signal aspect. If now the home signal is thrown back to danger (Red), the distant signal automatically changed its aspect from green to yellow. The driver of the approaching train on seeing the change of aspect in the distant signal will react, apply the brake and bring the train to a stop at the foot of the home signal. Therefore, immediately after throwing the home signal back to danger, the route can be released. The approach locking is not effective in this case and there is nothing unsafe also as the train is going to stop at the home signal. In this case, we assume that the train has come within the pre-determined distance at the time of throwing the signal back to danger. The approach track is occupied. The driver on seeing the change of aspect in the home signal to Red, immediately applies the brake. But, he may not be able to bring the train to a stop at the signal as the braking distance is not available. He may overshoot the signal. It is not safe to release the route. The approach locking becomes effective in this case and the route cannot be released. Case III : Approach locking with time release. has stopped at the foot of the signal. Even though AT is occupied. But, how to ensure that the train has stopped? A physical verification is not possible. We depend upon a time factor to ensure this. After putting back the signal to operator, the route release is attempted by the SM/Panel operator. The route will not be released; but a time-element relay will be switched on. After a time delay of 2 minutes, the route will be released automatically. Now, the route can be altered signal cleared and the train can be received on the altered route. But, if the driver is not in a position to stop the train, he will pass the signal at Red. 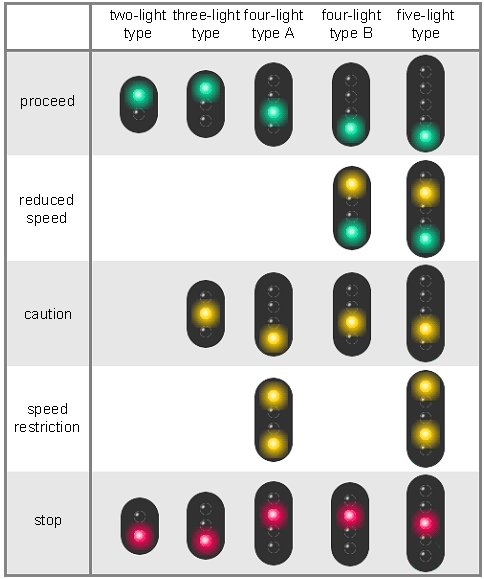 Once the train has passed the signal, the back or route locking becomes effective and the route cannot be released. The train has to be received on the route which is already set.